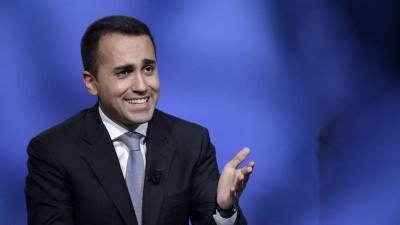 Luigi Di Maio: “If someone thinks about disengaging Italy from our historical allies, who are the West and NATO countries, he will always find me against it. Italy, and especially the 5 Star Movement, has never said that it intends to separate from our historical allies”. This declaration by the candidate premier (on La7 TV, 16 April) raises a basic question that goes beyond the current political debate. What is the assessment of Italy’s seventy years of bonding with its “historical allies”? In 1949, with the 5th De Gasperi Government (Christian Democracy – Pli – Psli – Pri), Italy became a NATO member under US command. Subsequently, according to the secret agreements signed by De Gasperi in Washington in 1947, the deployment in Italy of US bases and forces began, with about 700 nuclear weapons. For 40 years, in the US/NATO strategy, Italy was at the forefront in confronting the USSR and the Warsaw Pact. Italy could be sacrificed in case of war (the US also kept atomic demolition mines ready on our territory). In 1991, with the 6th Andreotti Government (DC – Psi – Psdi – Pri – Pli), the Italian Republic participated, in the Gulf under US command, in its first war, violating Article 11 of its Constitution. In 1999, with the D’Alema Government (Ulivo – Pdci – U-deur), Italy plaid a fundamental role, with its bases and its fighter bombers, in the NATO war against Yugoslavia. In 2003, with the 2nd Berlusconi Government (Forza Italia – AN – LN – Ccd-Cdu), Italy began its participation (currently in progress after 15 years) in the US / NATO war in Afghani-stan. In 2011, with the 4th Berlusconi Government (PdL, LN, MpA), Italy plaid a role of primary importance in the NATO war against Libya, in which it participated with 7 air bases, fighter bombers and warships. In 2014-2018, with the Renzi Government (Democratic Party, NCD, SC, UCD) and the Gentiloni Government (same coalition), Italy participated in the US/NATO escalation against Russia, by deploying troops in Latvia and jet fighters in Estonia. At the same time these and other governments ceded our national territory to the Pentagon, which uses it as its bridge and flight deck to launch military operations in a wide geographic area. The Command of rhe US Naval Forces Europe-Africa in Naples-Capodichino, led by the same US admiral who commands the Allied Joint Force Command Naples at Lago Patria, covers half of the Atlantic Ocean and the seas bordering throughout Europe and Russia and almost the whole of Africa. The US bases in Aviano, Vicenza, Camp Darby, Gaeta, Sigonella, and the MUOS ground station in Niscemi are used to carry out military operations in Middle East, Africa and Eastern Europe. Italy is tied to the US directly and through NATO, in which since 1949 the US maintain the leading position of Supreme Allied Commander Europe and all the other key commands. Italy is thus deprived of sovereign power in foreign policy . The new nuclear bombs B61-12, that the United States will deploy in Italy by 2020, will expose us to even greater risks. Luigi Di Maio signed the ICAN Parliamentary Pledge to have Italy adhere to the UN Treaty on the Prohibition of Nuclear Weapons, that is removing US nuclear weapons from Italy. Will he keep the pledge or break it so as not to “disengage Italy” from its main “historical ally”?